There are many different types of cargoes shipped around the world, some more unusual than others. 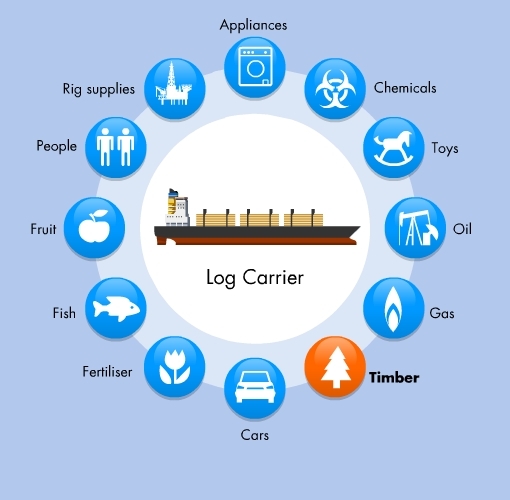 While containers, crude oil and dry bulk get the most attention, other cargoes that fall outside of these categories are just as important to daily life. Over-sized goods, such as a non-motorised barges or road sections, are one such cargo, while heavy cargoes, such as industrial generators and reactors, also require special treatment. Another specialist cargo is livestock, which needs to be transported in comfortable surroundings so that the cattle or sheep reach their final destination undistressed and in optimum condition. Whatever the specialist cargo, one thing is for sure; the ships that carry them will be specially designed to serve that purpose. To counteract the loading and discharging of heavy items, heavy-lift ships might use ballast to counterbalance the weight, while others use hydraulic feet to clamp on to the quay, while ships designed to carry livestock need climate control, feed dispensers, watering equipment and equipment for the removal of manure, as well as large quantities of bedding and food.